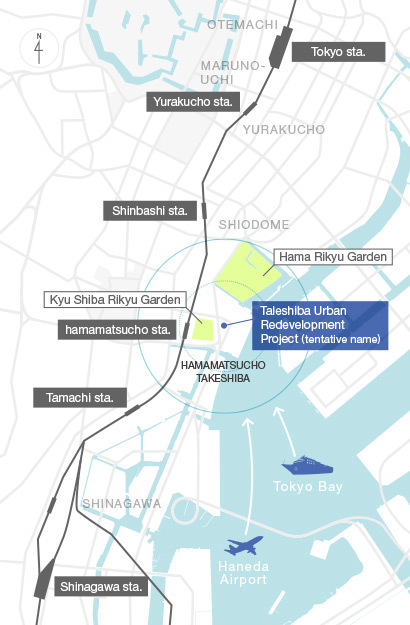 In Hamamatsucho & Takeshiba, the gateway to sky and sea, we work on urban redevelopment in cooperation with the Tokyo Metropolitan Government. We are also pursuing initiatives to revitalize the surrounding areas through area management. 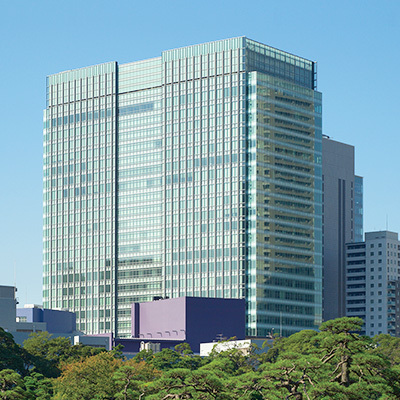 The Hamamatsucho & Takeshiba area is surrounded by the Daimaruyu area (the Otemachi, Marunouchi and Yurakucho areas), the business hub of international finance and other businesses, and internationally competitive centers, such as Shinagawa and Tamachi, which function as traffic intersections between not only Tokyo and other regions across the country, but also nations abroad. This area is the gateway to the sea, connecting as it does with Tokyo Bay, as well as the gateway to the sky, given its proximity to Tokyo International Airport. In addition, the area boasts a rich natural environment, and designated cultural properties such as Kyu Shiba Rikyu Garden and Hama Rikyu Garden are located nearby. 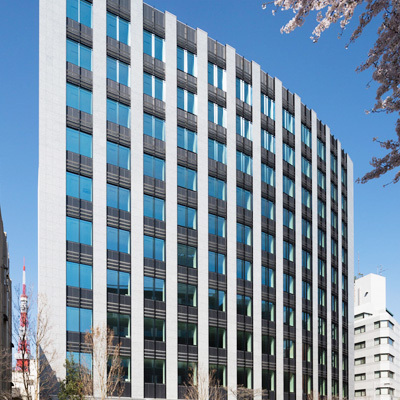 In the neighboring areas, new development projects are underway, such as the redevelopment of Shinagawa and Tamachi as well as the development of Shiodome. Harnessing the features of this area, we seek to make Hamamatsucho & Takeshiba a hub that connects cities in Tokyo and connects the world digitally. 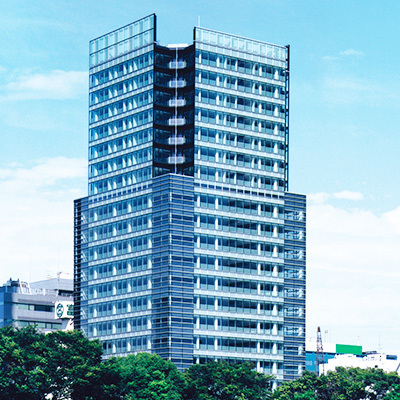 For the Takeshiba area, which was designated for a particular project of the National Strategic Special Zones, we will form a content-based international business hub to promote Tokyo as a truly international city. In addition, we are also carrying out projects intended to boost the appeal and vitality of the entire area through area management not only for urban development using land owned by the Tokyo Metropolitan Government, but also to contribute to subsequent sustainable development.